Starting the day off on the right note can mean that the rest of the school day goes smoothly. However, Tutor and registration time is often viewed chaotic dead time for admin, and over the course of a year that is potentially a lot of time wasted. While it is important to have a buffer between home and the morning rush, and getting ready to learn, are we using this time effectively? 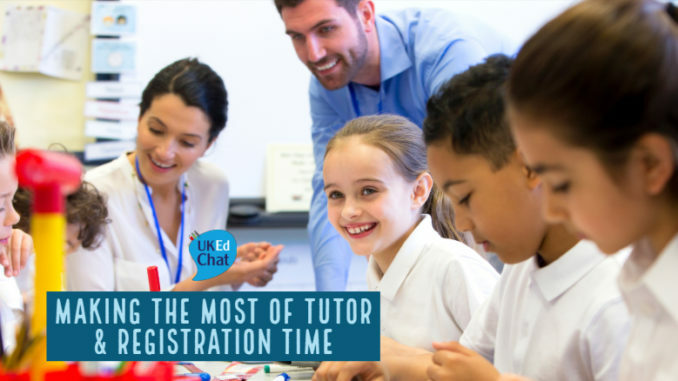 In this #UKEdChat discussion we explored what was the situation with tutor/registration time, ways to use it better, and what things we shouldn’t do. How long is your tutor/registration time and what currently happens during it? How do the pupils enter the classroom? How are the pupils greeted? How could this be improved? In your opinion, what are the worst aspects of tutor/registration time? In your opinion, what are the best aspects of tutor/registration time? What are your favourite activities for tutor/registration time? What do pupils get out of having tutor/registration time? If you could have training about tutor/registration time, what would you like to be included or what you ask? Which admin becoming increasingly automated by technology, is tutor/registration time still necessary? Registration (or Tutor) Time may occur once or twice per day in schools, but making the best of this time is often a consideration for teachers across most phases within education. Some sessions can last for 5 minutes, whereas others are timetabled for 20 minutes, following a programme including assemblies (KS or whole school), discussing news, quizzes and daily uniform and equipment checks. Other sessions can last 1 hour, especially within the further education sector which includes, a general catch up/wellbeing, then 1:1 and just after Oct half term UCAS unless in year 12 they had indicated Oxbridge/medicine interest. Once UCAS completed, 1:1 and revision/study skills sessions. Many teachers maintain a consistent approach to Meet & Greet, encouraging staff to welcome students into the room with a smile while reinforcing expectations on entry. Sometimes, a class needs ‘breaking’ before they enter the room or else you’ll end up fighting them from the start of the lesson – getting them coming in in the frame of mind to work not just carry on messing around. An ideas is to place a task ready on the board, greeted by me and encouraged to start – purposeful start! One of the challenges of tutor time is when the time is not used productivity, i.e students just sitting and some staff using the time to prepare for the day, can end up as wasted time – just being treated as dead time, a lack of structure etc. 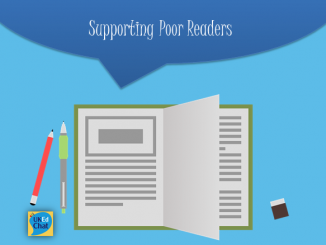 Used effectively, tutor time allows opportunities to develop positive relationships and educate on social/moral issues outside of subject specific learning environments. In primary, talking to children about the thinking activity for that morning, what’s going on at home, the world and the world of football! In brief, getting to know the children and forming really positive relationships that are so vital for children of primary school age. When you finally work out how to be most productive in these short slots, then advising, mentoring, quizzing, homework help etc. When the penny drops for the pupils that you can be useful! Exploring opportunities to teach random “life lessons”. What are taxes? What different types of qualification are there? Countries of the world. 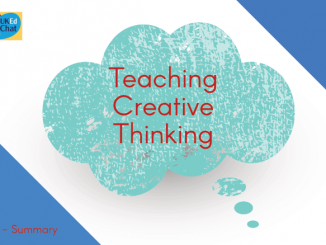 Anything and everything that doesn’t fit into the curriculum. Plus explicitly teaching social skills. A weekly current events quiz on a Friday. ‘On this day in history’, discussing historical events that occurred on that day in the past, great way of developing students awareness of history. Current affairs, a theme of the fortnight on important issue, debate on topic, all help to build social skills, listening skills, thinking skills, develop employability, awareness of the world. What are your favourite, popular or most-productive tutor time activities? Continue the chat by scrolling to the foot of this page and adding your comments. Registration time can provide a controlled start to the day – a chance for passing on messages and announcements, to ensure that students are prepared for the day, and identify any problems students might bring into school with them – a helpful transition from outside to lessons to prepare them for the day ahead. Over the long term, they are a group of pupils not necessarily social grouping, but they certainly develop a bond and a sense of loyalty to the tutor group.